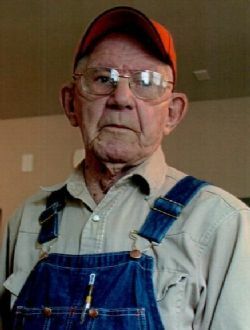 Oscar (OD) Dickeson, 94, of Greenville, died Thursday, April 4, 2019 at Royse City Health and Rehab Center. A graveside service will be 10:30 AM, Tuesday, April 9, 2019 at Shady Grove Cemetery with Mr. Dane Scoggins officiating. Arrangements are under the direction of Coker-Mathews Funeral Home. Mr. Dickeson was born in Mount Pleasant, Texas on August 19, 1924. He was the son of Walter Jackson Dickeson and Nancy Reynolds Dickeson. He married Virginia Jo Gray on December 24, 1950 in Miller County, Arkansas. He was a veteran of the U. S. Army and a retired welder and mechanic. Survivors include his sons, Mike Gray, David Dickeson and Roger Dickeson; daughters, Virginia Hunter, Sandy Baxter and Diana Davis; grandchildren, Donald Hunter, Meredith Dunn, Aaron Cook, Denise Hunter, Misty Dodson, Doug Gray, Kristie Lemmon, Heather Scoggins, Brian Dickeson, Wesley Dickeson, Dusty Dickeson and Brandi Gerhart; twenty-three great-grandchildren and five great-great-grandchildren. He was preceded in death by his parents, wife, and siblings, Otha Dickeson, Jim Dickeson, Vick Price and Sarah Lilly; and grandson, Wesley Dickeson.